In short, the penny saving challenge is a way of saving money over a 365 days/annual period. It's a pretty basic system, each day you put away an amount corresponding with the day that you are on in the challenge, so for example day 1-1p, day 2-2p, day 3-3p(or the equivalent in whatever currency is used in your part of the world.) As the days, weeks and months go on the amount you put away increases leaving you with a pretty nice little savings pot. If you stick to the basic idea of putting away 1p more each day, then at the end of the 365 day challenge you should have a total of £667.95 saved up. If you and your partner do a joint one then double that figure. 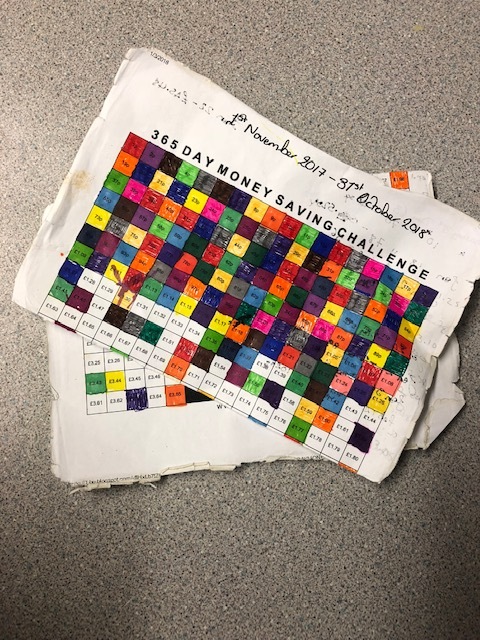 The beauty of this challenge is as it is a 365 day challenge you can start it at any time but for me I knew I wanted to use the money towards Christmas, so I started on November 1st 2017 with my last day being 31st October 2018. After all of the Halloween festivities and the children went to bed I counted up what I had managed to save and was blown away with my £783.11 savings. What if I don't often have cash on me? As much as I enjoyed doing the challenge the one thing that bugged me the whole way through was what I was going to do with all the random pennies and coins at the end of the challenge. 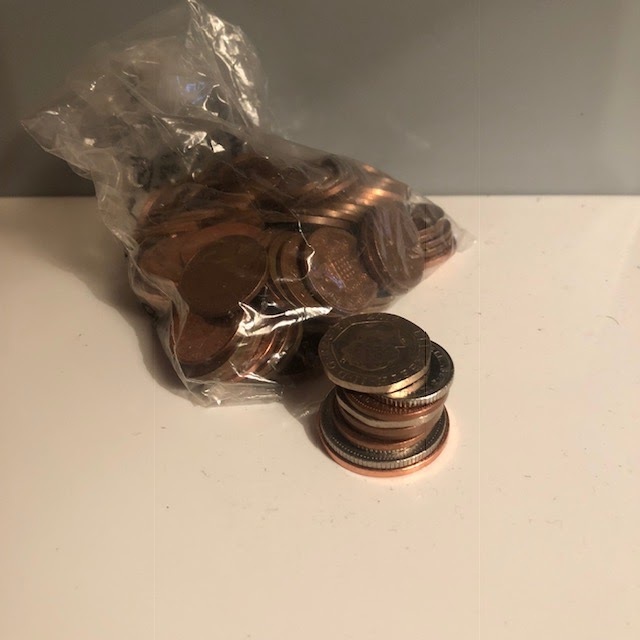 I managed to bag most of it up and pay it into the bank for there's still some left over that can't be bagged up so that the bank will accept it so for this years challenge I am going to transfer the amounts from my main current account to my e-saver account using my mobile banking app. If you don't already have a savings account now is the perfect opportunity to open one! There loads of free printables available online(this is where I got mine from last year) or you are more than welcome to use my free printable. 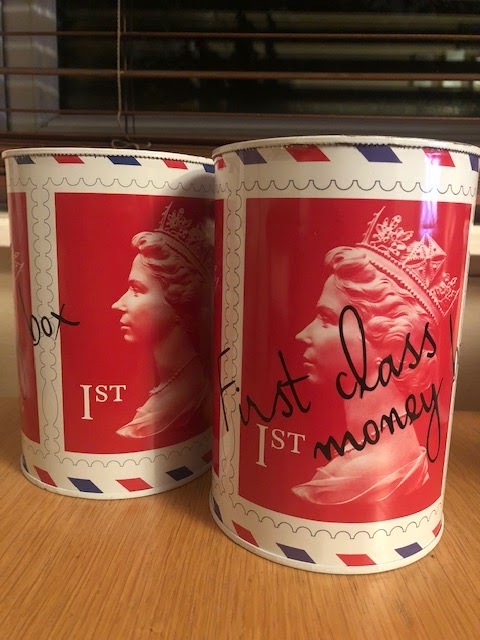 I coloured in a corresponding square each time I put some money in my pot or alternatively you could keep track of it all in a diary or notebook. Let me know if you have completed the challenge, done something similar or are going to give it a go.